Our son received one month of classes at TRIumph Gymnastics in exchange for this review. All opinions are mine alone (and Ethan’s, too!). 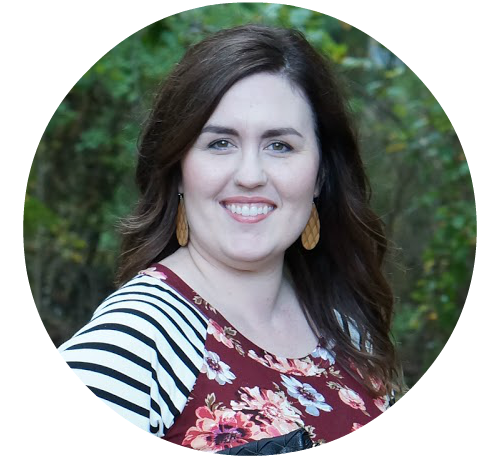 I am seriously excited to share our experience with a new gymnastics facility in Cary. As you all know, my husband and I have three kids. We keep them involved in extracurricular activities. The way we see it, the more, the merrier! Whatever our kids want to do, we find a way to do it! Well, our middle son, Ethan, had been expressing interest in gymnastics. Like… literally and figuratively. Literally, as in he was telling us and figuratively … as in, trying to do back flips off the couch. It was definitely time to find a place for him to learn proper gymnastics techniques. I’ve always said he’s my “go-getter.” He loves to try new things. Ethan was so excited when I told him we signed up for a class! 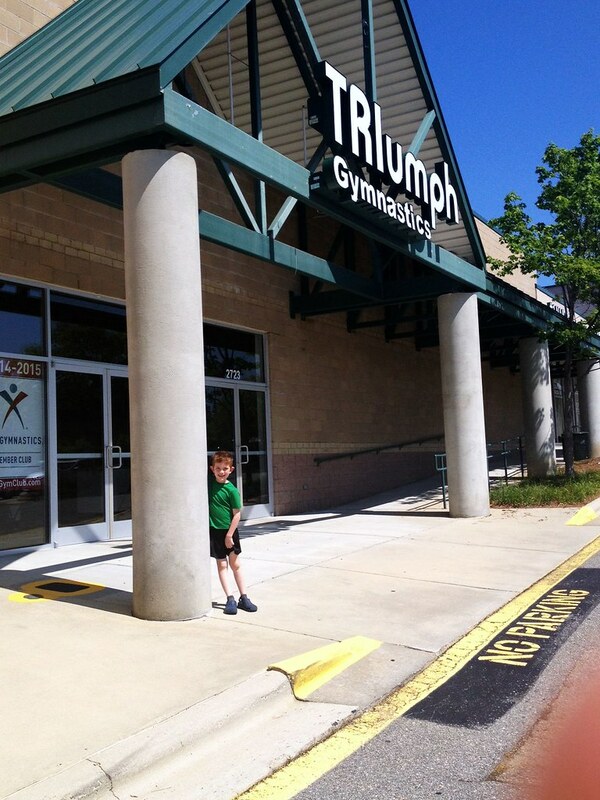 For a little background on the facility, TRIumph Gymnastics opened its doors on February 9. They are currently enrolling participants and will continue to add more classes as the facility grows. We saw at least 3 other classes while Ethan was there! 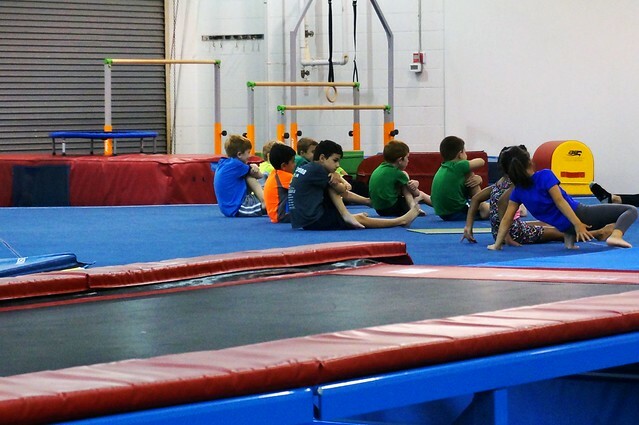 Classes include: preschool, developmental, tumbling, parkour, adults, home school, open gym and more. The full schedule of classes and programs can be viewed here. In addition to classes, TRIumph will also offer camps for year-round students who are tracked out of school, summer camps and birthday parties complete with games, gym time and more. Here’s Ethan before his first class! TRIumph’s appropximately 20,000 sq. foot facility at 2723 NC Highway 55 in Cary is state of the art. 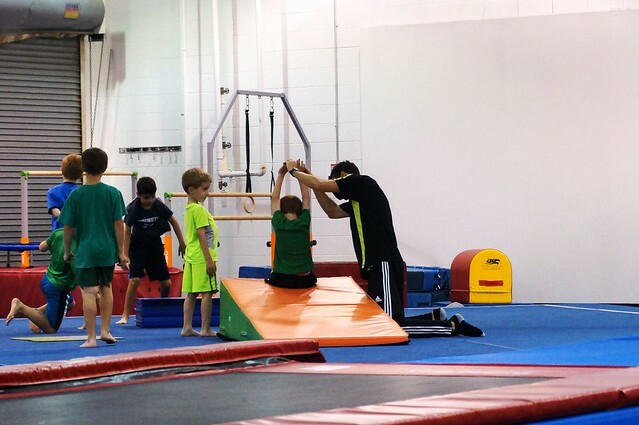 TRIumph features both men’s and women’s elite competition equipment, a foam pit, two trampolines, two tumble tracks, a 42′ x 42′ Olympic size competition floor, a rod floor, a tumble strip, a dedicated preschool area and a large viewing area for parents. You can sign up for classes online or call (919)355-2199. Coach Matt taught Ethan’s class, and he was so nice. His particular class has a ratio of 8:1, so there’s individualized attention when the students need it. The gymnasts learn that they walk out on the floor in a line behind the coach, and then they work on their stretches. I was surprised at how much they stretch! After stretching, they worked on a variety of activities. They go through all the men’s Olympic events. The first class, they were on the pommel horse, the even bars, in the foam pit, and a couple others. I was so impressed with how the coach made the most of his time with each student. While he works with one or a couple gymnasts, he has the other students rotating with exercises. They are moving non stop during the entire class! During Ethan’s month of classes, he also worked on the trampolines, the floor, the uneven bars, the rope, the rings, and I’m sure I’m forgetting a couple in there! This is during Ethan’s last class, when he was learning the proper way to do a backward roll. He did so well! I couldn’t catch him in a back roll, as it came out blurry. They also used this triangle mat to do forward rolls. I was trying to capture photos of just Ethan, but they have multiple classes going on at the same time. The younger classes can see the older classes doing advanced techniques, which Ethan thought was so cool! I’m happy to say that Ethan wants to continue learning gymnastics! When we pulled into the parking lot on his last class day, he said, ‘Yaaaay! But booooo, it’s my last class!” I have been so impressed with the coaches and facility at TRIumph Gymnastics. If you’re in the triangle area (or not, like us!) and your kids are interested in gymnastics, this is our first choice! We love the welcoming environment and confidence it has instilled in Ethan.